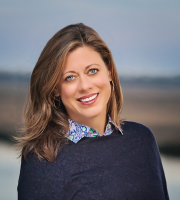 Ginn began her real estate career nearly fifteen years ago after teaching elementary and middle school in Charleston County for four years. She decided to make a career change in 2000 and transition from teacher to realtor. Having worked for several resort real estate companies in the past, Ginn has extensive knowledge of the Charleston area from Kiawah to Wild Dunes. Ginn currently lives in West Ashley with her husband, Brad, and their son, James. Spending time between Charleston and their second home in Beech Mountain, North Carolina, Ginn and her family enjoy everything the Lowcountry and the High Country have to offer.